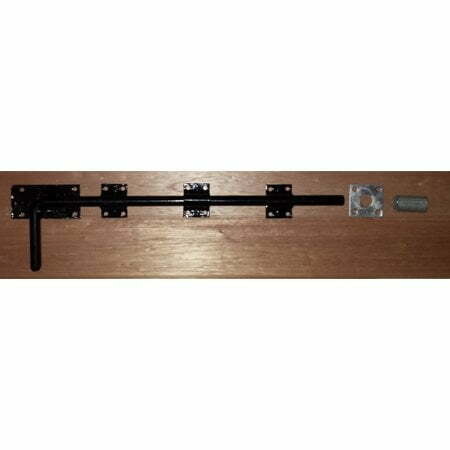 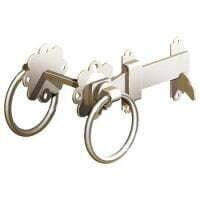 Used to secure one gate or external door of a pair to the floor, giving something for the main door/gate in a pair to close to. 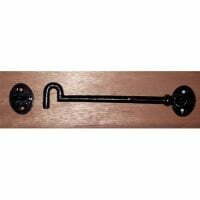 Looking for a premium black monkey tail bolt or bow handle bolt? 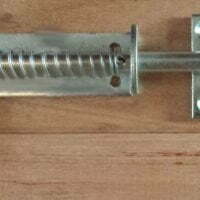 Unfortunately these items are not manufactured in Premium Black, so a garage door dropbolt must be used in their place. 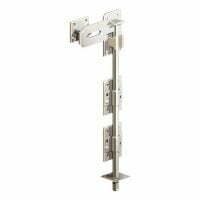 Supplied with a flat plate receiver and all fixings. 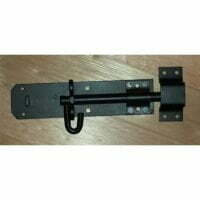 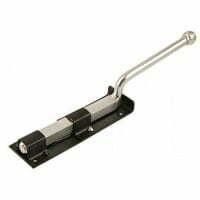 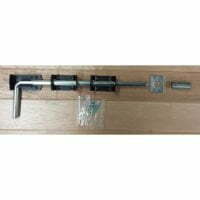 450mm/18″ Premium Black Garage Door Dropbolt for gates or doors. 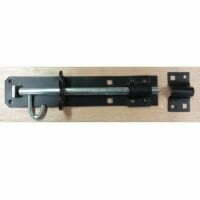 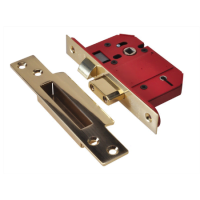 Supplied with all fixings and flat plate receiver.